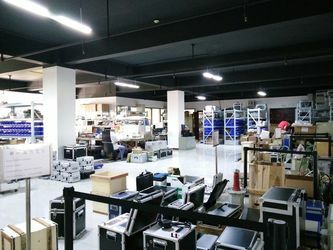 Wuhan Huaying Electric Power Tech & Science Co.,ltd, founded in 1997, engaged in the designing, manufacturing and selling of electrical test equipments. 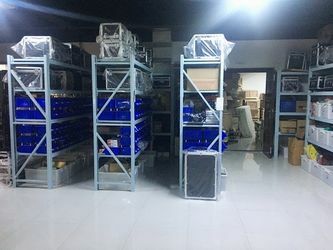 Our products include: HV Testing Instruments, Transformer Test Sets, Relay Test Set, Circuit Breaker Test Set, CT/PT Test Set, Cable Test Set, Power Plant Test Set, HV Meter, Signal Recorder, etc. They are abroad used in electric power, energy, metallurgical, chemical, mining industries. We have obtained the ISO9001 quality system certification and all products conform to the international IEC or Chinese state standards. 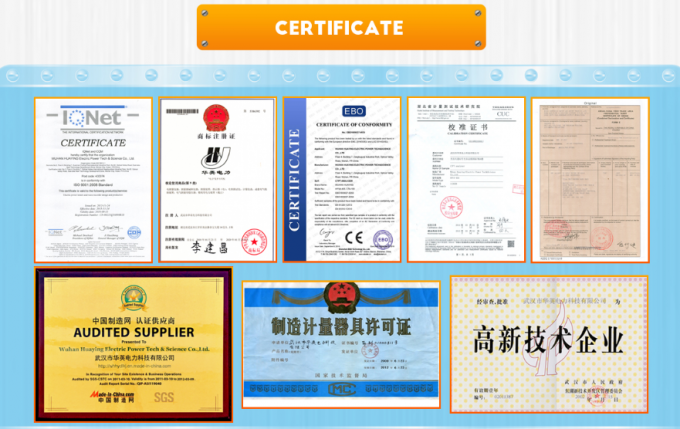 We have obtained honors such as Quality Management System Certification, title of High Technology Company, License of Manufacturing Measure Device. 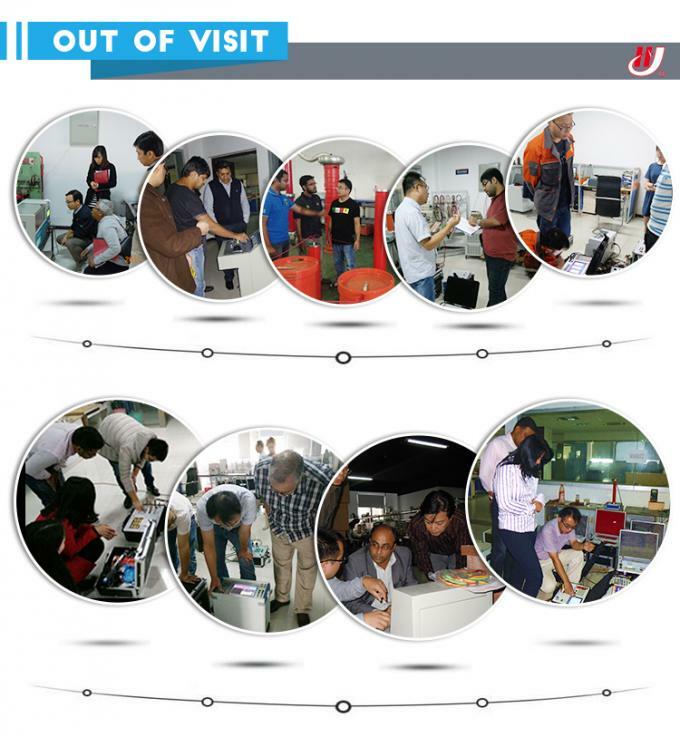 Warm welcome customers to visit our company, and we will do our best to support you! 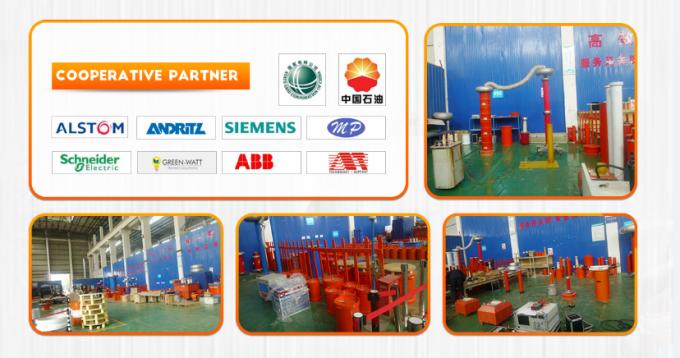 1993.5 Huajing electric power branch of Hubei province transmission and substation engineering is the predecessor of wuhan huaying electric power, as the subsidiary company of hubei province transmission and substation company,we are specializing researching and selling electric power test equipment. 1994.7 High voltage circuit breaker analyzer, transformer oil dielectri strength tester, voltage monitor researched by oun company have been launched to market. 1994.10 Huajing electric power technology newspaper designed by our company been published. 1995.6 Electrical test equipment manual designed by our company been published. 1996.6 Insulation resistance tester produced by our company won the network access license from Hunan province electric power company. 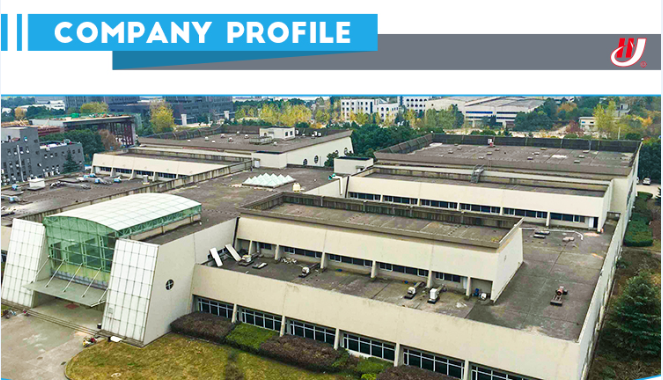 1997.4 Wuhan Huaying Electric Power Technology Co., Ltd. was officially established, registered place is Wuhan City Dongmen electrical market. 1999.6 Our company bought office and relocated to new official building: No. 135 , 13 floor of Campbell building in Hankou Nanjing Road, Wuhan City. 1999.9 Issued high voltage circuit breaker analyzer company standard (Q/WHY01-1999) by the Hubei Provincial Bureau of quality and technical supervision company. 2000.6 Wuhan Huaying company won the license (E 01000311) of manufacturing measuring instrument by China State Bureau of Technical Supervision. 2000.6 GKD-B high voltage circuit breaker analyzer won the access license of Hubei Institute of measurement and testing technology. 2000.7 Official company website been online. 2000.8 Obtained ISO9001 quality system certification. 2001.10 GKC-B3 high voltage circuit breaker analyzer and XH-1003 Zinc Oxide lightning arrester tester won the network access by Jiangxi Province power grid high voltage test equipment institute. 2002.4 Won the title of "high-tech enterprise" from Wuhan Municipal People's government and East Lake high tech Development Zone Administrative Commission. 2002.9 Issued company standard (Q/WHY02-2002) of transformer oil dielectric strength tester by Hubei Provincial Bureau of quality and technical supervision company. 2002.12 YJJ-II insulating oil dielectric strength tester won access from Hubei province Measurement Technology Research Institute, series no: (01) measurement (E) (Z0228). 2003.5 Got Wuhan city technology trading license WJS420102173-05. 2004.4 Companies registered capital increased to 5000000 RMB. 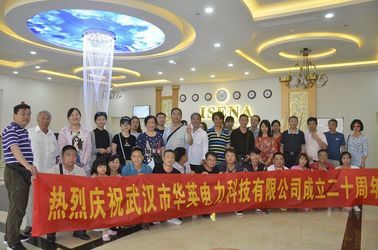 2004.9 Hubei province electric power measurement association was established, our company is the main originator and Council member of the association. 2004.10 completed the registration of foreign trade operation, access of independent right of import and export. 2004.11 CT PT analyzer researched by our company successfully put into manufacturer. 2005.6 Signed our first export orders with Indian EYNS. 2006.3 Hydraulic Turbine Governor Simulation System Tester successfully researched with Huazhong University of Science and Technology. 2007.12 HYBC-II transformation ratio tester and SGB-100A digital high voltage meter got network access by Yunnan power grid network evaluation of high voltage test equipment. 2008.1 Instantaneous signal recorder designed by our company widely manufacturer to market. 2008.1 HYBC-II automatic transformer ratio meter, HYHL-II contact resistance tester, HYYJ-501 insulating oil dielectric strength tester got through the Sate power industry of quality inspection center. 2009.6 New generation of portable CT/PT analyzer developed. 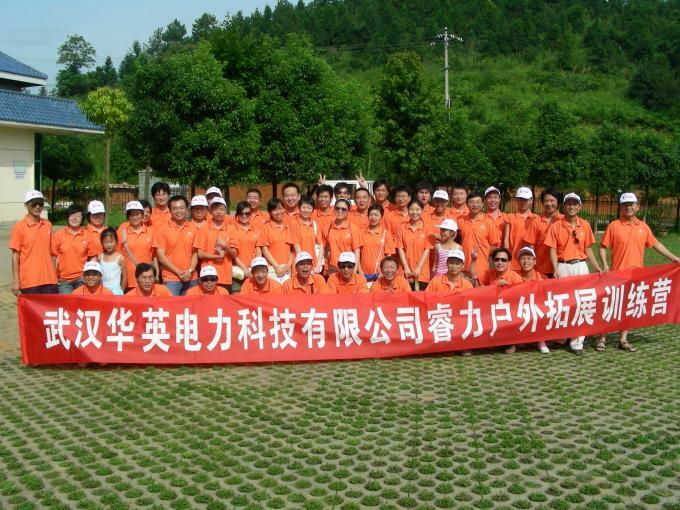 2009.8 First competition of Hubei province electric power measurement association, HYHL-II contact resistance tester won first prize, HYYJ-501 insulating oil dielectric strength tester won the second prize, HYGK-306 high voltage circuit breaker analyzer won the third prize. 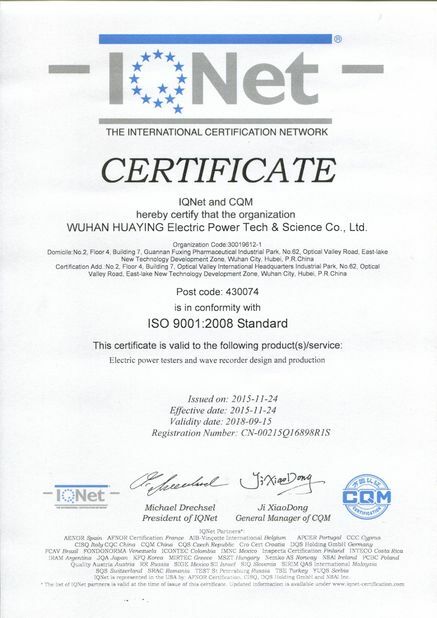 2010.1 "Huaying power" certificate of trademark registered successfully. 2010.2 Thermal power unit primary frequency modulation and period testing instrument successfully researched. 2011.5 HYZC-10 winding resistance tester won the network access by China Southern Power Grid Network high voltage test equipment Institute. 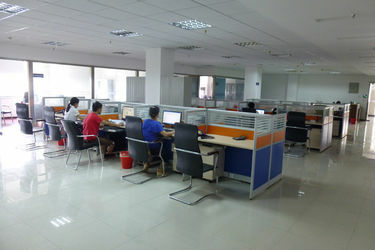 2011.8 Company relocated to new working building: Optical Valley International Headquarters Industrial Park,No.62,Optical Valley Road,Wuhan. 2012.2 Successfully completed the research goal of State Institute of pwer science and technology Research and development of insulating oil dielectric strength test calibrator. 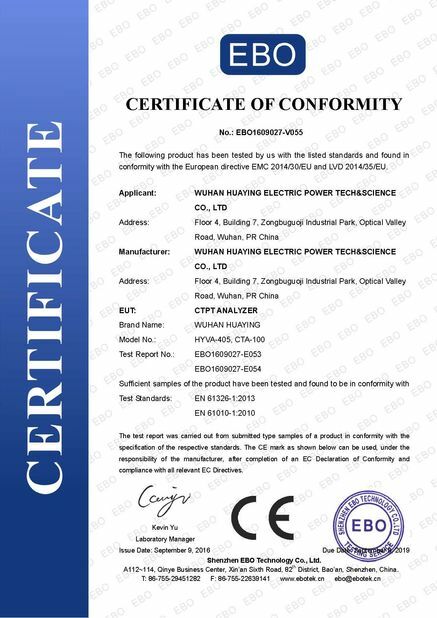 2012.2 Won the software copyright registration certification of insulating oil dielectric strength tester, transformer ratio tester, winding resistance tester, turbine governor simulation tester, instantaneous signal recorder, ct pt analyzer. 2013.3 Frequency response method winding deformation tester launched to produce, its intergrated designed is first trying in China. 2013.10 The 5rd generation of ct pt analyzer HYVA-405 successfully launch market. 2014.2 HYBL instantaneous signal recorder successfully launched market. 2014.9 Latest circuit breaker analyzer HYGK-307 researched successfully, unique circuit breaker vibration function is the first design in China. 2014.10 Declaration invention patent of "test equipment and method of cutting off time in insulating oil dielectric strength testing.